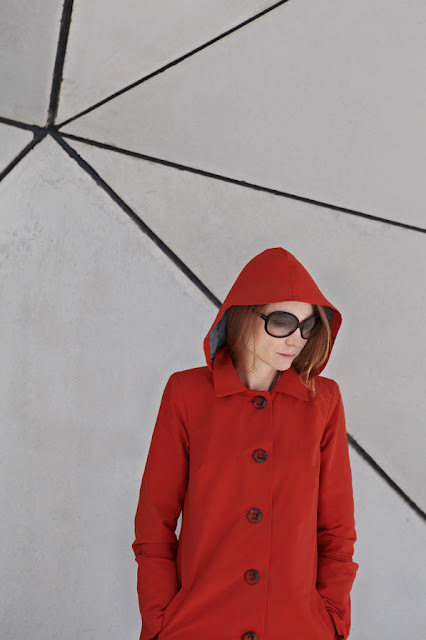 My main challenge with the 'Rubi' raincoat was the long manufacture process. I was looking for a high-quality, practical, water-repellent fabric. 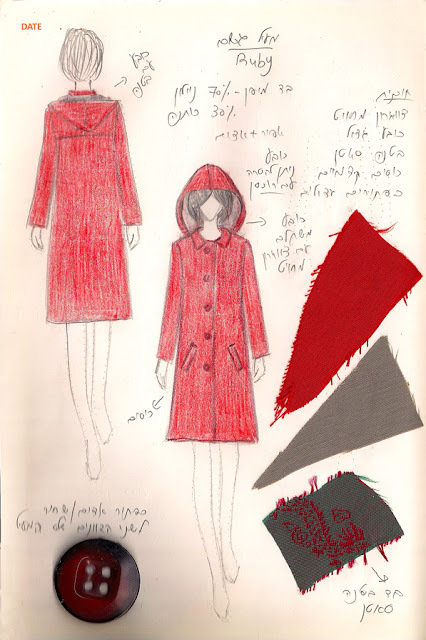 Since very little coats are made in Israel it was very difficult to find the right fabric. By chance, I met a guy who imports fabrics from Japan, and he had a beautiful high-quality fabric made of nylon and cotton. Once I found the fabric, I started making sketches to prepare the design. I wanted to design a raincoat with a removable cap, so that women who prefer it without the cap could remove it without affecting the design. I had to make three designs before I managed to get the collar to complement the shoulders and conceal the patent zipper underneath. The outcome is perfect, and it was worth the effort. 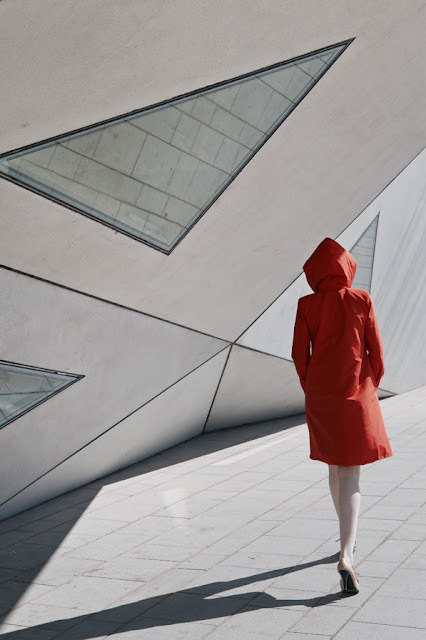 The A-shaped coat has very clean lines, and it is knee-high. It comes in two colors: red and grey. Both have a high-quality grey satin lining with a red Japanese style pattern.